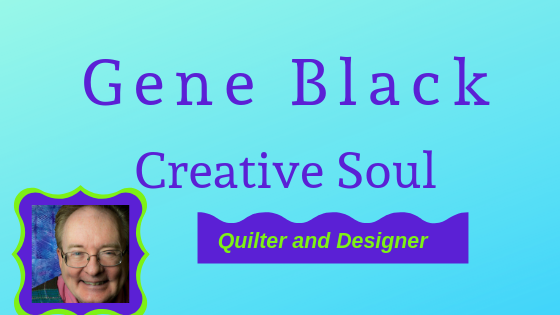 Gene Black an Alabama Artist and Quilter: Flying Stars! 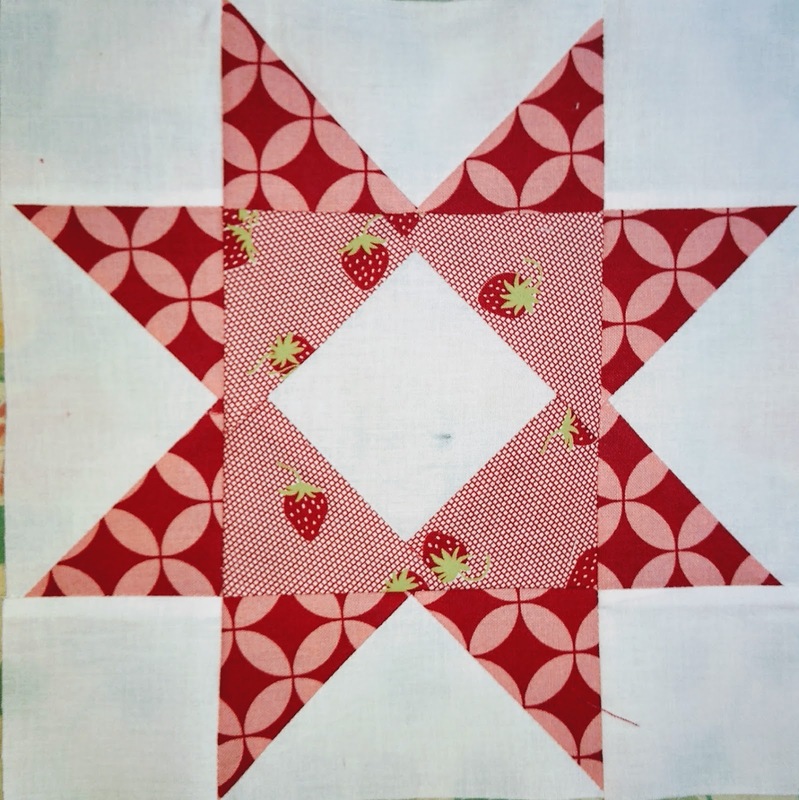 After looking at lots of images of quilts made with flying geese, it was easy to see that there should be some star blocks in my design. I have NOT decided on an actual design yet. This may be a somewhat "modern" quilt when I make it. So let's look at the stars. Thus far there are three of them. The first one I made - with a square in a square center. 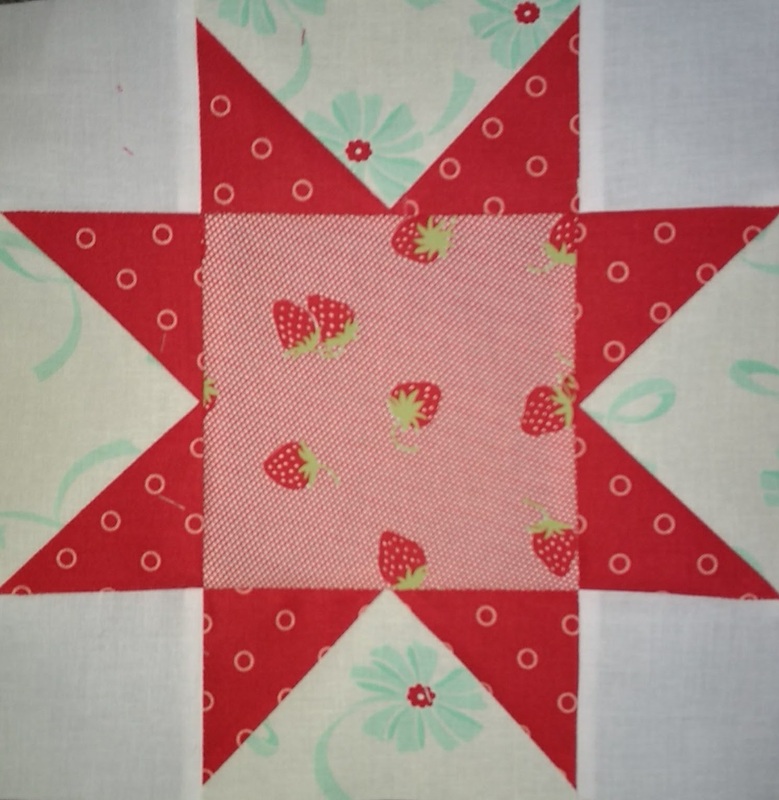 The second one with a simple square center. There is no close-up of the third one because I forgot to take the photo. But it has a secret. 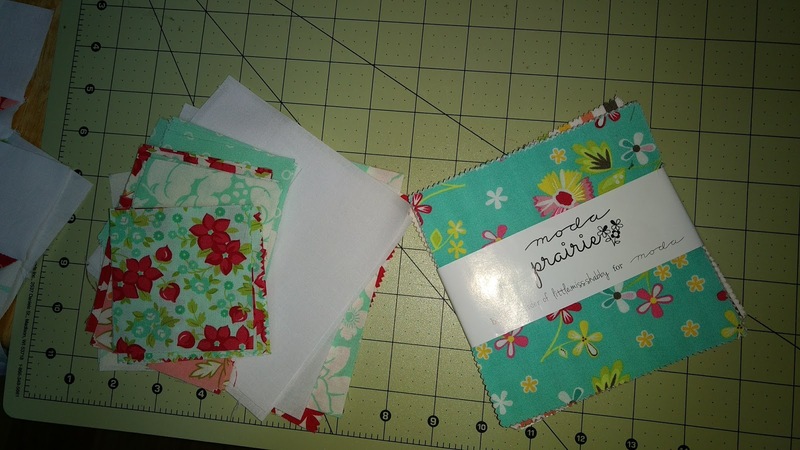 I spied a pack of Prairie charm squares in a similar color-way to the Hello Darling. One of the charms became the center for the third Flying Star. It worked wonderfully. Here are some pieces I cut already and the pack of Prairie charms. I discovered that from the Layer Cake (10 inch squares) I can cut one of the 5 1/4" squares and four of the 3 inch squares that I use to make four at a time of the flying geese units. There are a few videos on YouTube showing the process. 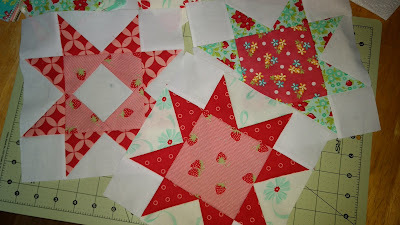 But, I will ask you-"Do you think I should make another one showing my process for making 4 at a time?" 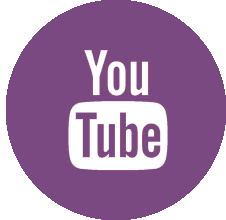 Your videos always help, go for it. I love the strawberry theme! A Few More Flying Stars and a "Lesson"